Standing at Stud for the 2015/16 Breeding Season is the AWHA registered Warmblood Stallion KPH Trojan The Greek. Trojan has been campaigned extensively in SE QLD at both Ag Shows & Dressage competitions. He is currently competing medium level dressage. 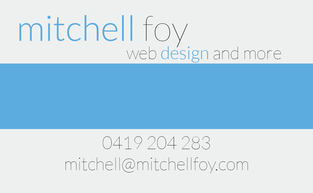 Mitchell Foy - Web Design. Find hundreds of horses for sale, ponies for sale & horses for loan from all over Australia. Graphic Design - GraphiCo its a small Design Boutique with big ideas. Your online training and assessment program. Develop your skills both personally and professionally. Brisbane based company that strives to provide quality safety signs at factory prices direct to the public.